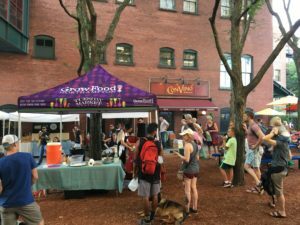 Tuesday Market enjoyed four weeks of top-notch cooking during the last four weeks of the summer during the 2018 Summer Chef Series. 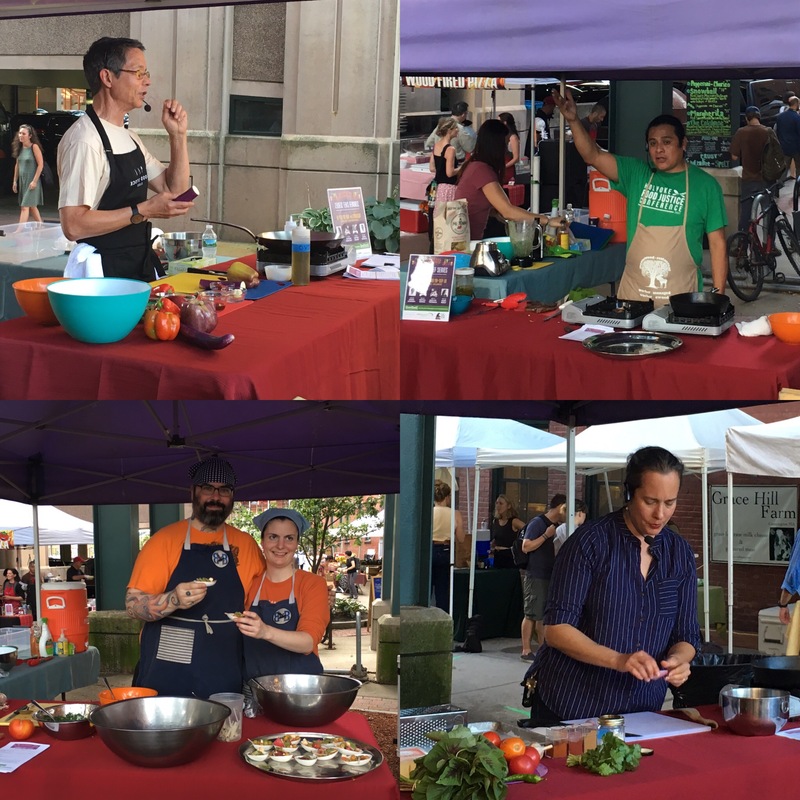 Each week a new chef demonstrated a recipe using ingredients from around the market and then offered samples while chatting with customers. Each chef was unique and engaging and we are grateful to them all for sharing their gift with us! Week one featured Sandy D’Amato, James Beard Award winner and owner of the world-class Good Stock Farm Cooking School in Hatfield. 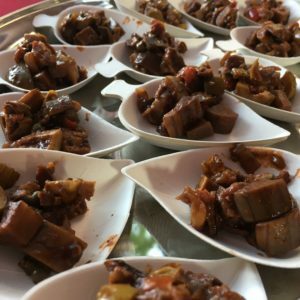 At his demo Sandy prepared Eggplant Caponata, a Sicilian dish that Sandy describes as something “any self-respecting Sicilian would offer you when you enter their home”. 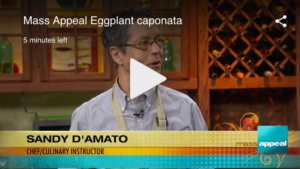 Sandy appeared on local tv show Mass Appeal ahead of his visit to prepare the same dish. Upon sampling, many folks commented on the lovely balance of flavors that the cocoa powder provided, a surprising taste combination! Eggplant Caponata samples ready to share with market goers. On week two we hosted Neftali Duran: chef, restaurateur, food justice advocate, activist, educator. Locals fondly remember Nef’s El Jardin bread. For his demo Neftali prepared two sauces, Salsa Verde and Chimichurri and then cooked up some steak from Crabapple Farm. Whether trying the sauces on steak or corn chips, market-goers enjoyed the complex flavors that these simple sauces provided. One tip that Neftali taught us was how to char peppers over an open flame before adding to the sauce for a richer, smoky flavor. Belly of the Beast restaurant owners Jesse Hassinger and Aimee Francaes prepared a Red and White Salad on our third week. This delicious recipe featured husk cherries to provide a delicious fruity flavor to a relatively simple tomato salad. This recipe is also extremely adaptable depending on what you have on hand or are in the mood for! 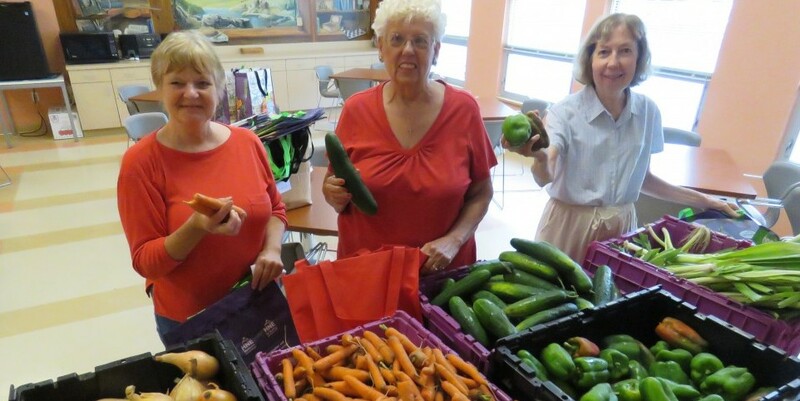 Mary Reilly, publisher of Edible Pioneer Valley finished out our series. Mary is a returning guest as she opened our Summer Chef Series in 2017 with her delicious Pioneer Valley Panzanella. This year Mary taught us how to make the classic Israeli dish Shakshuka, using ingredients from the market including zucchini and feta cheese. During her demo Mary taught us how you can quickly and easily make pureed tomato by shredding a ripe tomato on a box grater, a great tip! We are so grateful to these four guest chefs and the series’ sponsors The Lisa Ekus Group, River Valley Coop, Easthampton Saving Bank and Mill River Guitar and Music Shop. Cheers, until next year! 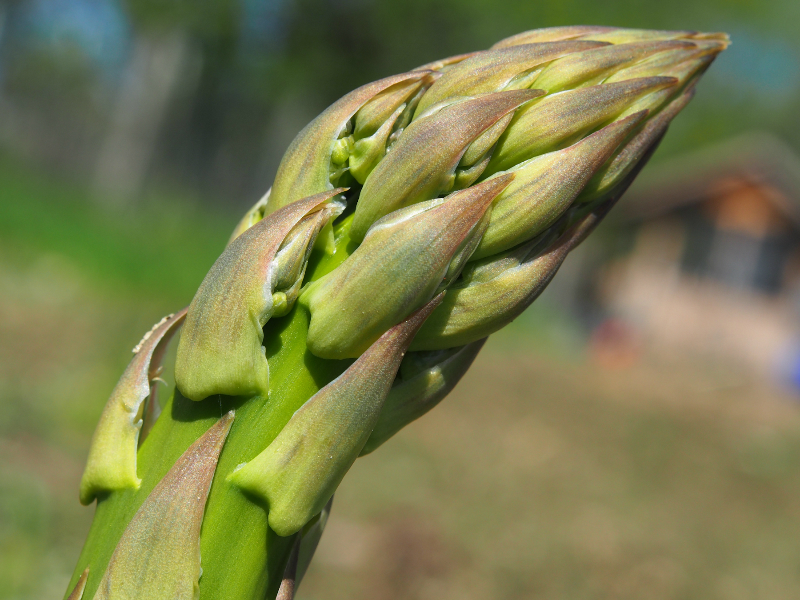 previous post: Introducing: Grow Food Kids!